A magnificent ballpoint pen from Parker's exclusive 'Premier' collection. 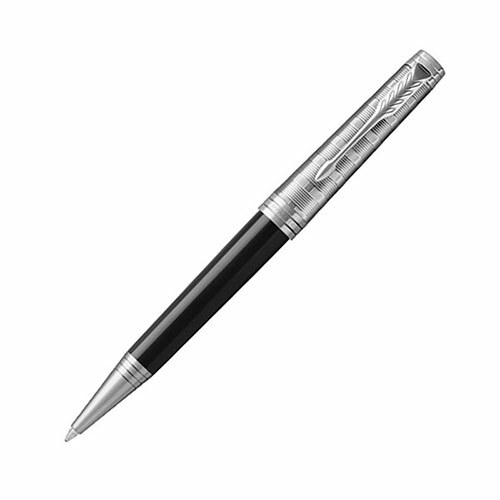 These fine quality writing instruments feature a deep black lacquered finish on the barrel while the cap has a distinctive 'tartan' pattern chiselled into a brass base with palladium finish. 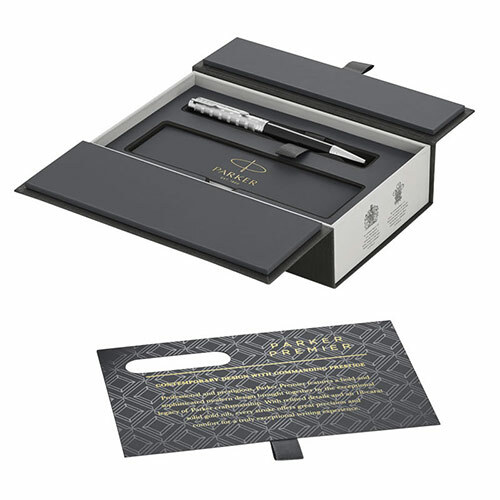 It features a black in Quinkflow refill, providing a consistently smooth writing experience. 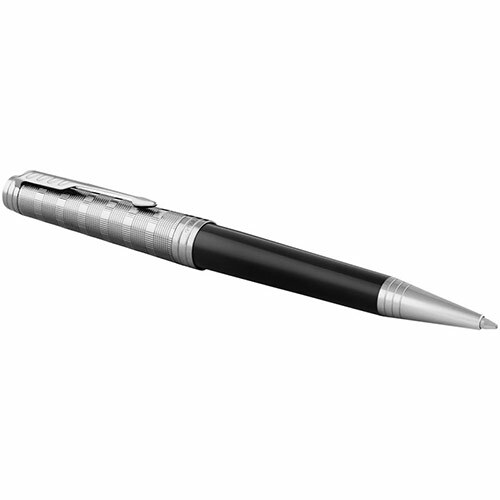 Each of these black and silver 'tartan' Parker Premier ballpoint pens is supplied with a Parker branded presentation case. They are ideal personalised via laser engraving on the black barrel, and are offered here with free text and/or logo engraving.